One of the things that makes furry fandom distinct from other fandoms is how its had to create its own merchandise. There simply isnt much mainstream stuff for sale with anthropomorphic content, and its doubly difficult if youre a fan of less-popular species. Put it this way: When was the last time you saw something for sale with an okapi in it? A side-effect of this kind of shortage is that furry fans often overlook quality because theres little else available. Sometimes however, the bar is lowered so far that people will praise just about anything, which says more about the obsessions and desperations of the consumer than the merchandise itself. I find that people outside the fandom tend to review anthropomorphic material much more critically and objectively, when theyre aware of it at all. So when films like Roadside Romeo are made, more than anything else its the feeling of disappointment thats the most painful. We see the trailers and our interest is piqued. Something anthropomorphic is on its way! The film comes out, and the obsessive-compulsives amongst us (um, like me) wait with baited breath for the DVD release. Our expectations are high, and then sometimes its bad. Now, it depresses me write a negative review. Some people might defend the movie, but trust me, its B-A-D with a capital awfuland yet, still not bad enough to be funny. I understand the high sense of hope, the unwillingness to criticize others, and that to speak ill of such films is to reject something from our already small, limited market. Yet we have to have standards, regardless of bias. (If you want to see bias in action, try criticizing Associated Student Bodies in front of a die-hard fan.) And its certainly not the first time Ive been let down. The same thing happened with Felidae, and I couldnt make it past the first ten minutes of Bakshis Fritz the Cat. which might actually be preferable. But I have to begin somewhere, so: Roadside Romeo is a full-length animated CGI movie from India that came out in 2008, distributed by Yash Raj Films (a major studio) and Disney. Yes, Disney meets Bollywood. I dont know what Disneys role waswas it financial, a distribution deal, animation training, or did they influence the script? The credits are all Indian names. In India, the term Roadside Romeo is slang for young men hanging around on the street trying to pick up women. 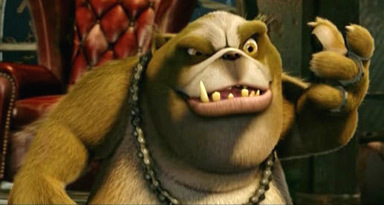 In the film, Romeo is a rich familys dog, spoiled and pampered with a bit of an ego, who finds himself kicked out into the dirty back alleys of Mumbai, utterly lacking in survival skills. Using his smarts, he joins a gang and convinces them to open a salon for their fellow dogs. Romeos talents are fur styling, dancing, flirting, quick thinking, and convincing others he can teach them how to be cool. It helps that most of the other characters are idiots. Problems develop when Romeos gang forgets to give protection money to the local thug, Charlie Anna. To make things worse, both Romeo and Charlie have fallen in love with Laila, a local dancer. The rest of the film basically consists of Romeo getting into deeper and deeper trouble as he talks himself out of one situation and into another, as he and Charlie vie for Lailas affection. Its all tremendously contrived and rather painful in its execution. but this film is cliché by Bollywood standards. Actually, thats an unfair comparison; North American and Bollywood audiences have different expectations. A friend of mine worked at an orphanage in India for nine months and told me of a 7-year-old who asked about North American films. Is there singing? No, not really, my friend said. Is there dancing? No, theres no dancing. The boy frowned heavily. Ohhh. Those are bad movies. The real problem is that without knowing much about Bollywood films, its difficult to put myself in the place of a typical Bollywood audience member. To understand their point of view, all I can do is read the opinions of other critics online, and most of them were similarly disappointed. There are six song-and-dance numbers. Dance-wise, I cant help but think that Bollywood audiences were unimpressed when the computer made all the characters make the same moves. Theres a lot less to appreciate if you compare it to twenty real people dancing together, knowing theyve choreographed and practiced it to perfection. So really the only time the dancing shows any originality are the few moments when Romeo and Lailas dance motions play off each other. And that in turn isnt true dancing, its animators trying to replicate dancing. 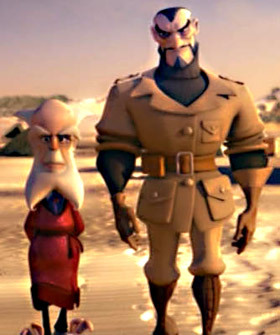 All the characters in the film are shallow, two-dimensional, and undergo little change. It doesnt quite feel like Romeo gains a sense of humility at the end, nor that Charlie abandons being a thug. Laila is simply a manipulative tease; she starts off by talking Romeo into dancing on stage with her, which (thanks to unwanted suitor Charlie) is basically a death sentence. Charlie is a bossy, violent, ugly, overweight, flatulent, disgusting boor. His sidekick Chainu is annoying and gross in his own right, and is never funny, and the same goes for the cutesy mouse that follows the protagonists everywhere. 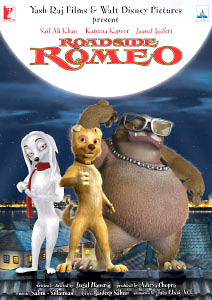 In terms of character design, Romeo and Laila are fine, although Id say Romeo is the better of the two. Lailas head is a little big for her body, her eyes defy the lighting, and she shouldnt wear lipstick. Also, after Romeo styles her hair, her ears are never seen again. uuuughh. And the models are used over and over again: You see the same dogs everywherethe worst case being Charlies three lasso-throwing henchwomen, who are identical except for the color of their headbands. Exactly who the target audience for this film is, I dont know. Charlie is a genuinely intimidating if idiotic character, and most critics I saw online thought he was a bit too harsh for small kids. Meanwhile, the film is peppered with in-jokes to other Bollywood movies, something kids would completely miss, yet at the same time the plot is simply too stupid for adults. Even the pop-culture references are lame. Remember when the first Shrek movie did a parody of The Matrixs freeze-in-midair jump, rotating-camera thing? And it was funny? And then it stopped being funny when other films started to copy the same joke? Well hey, in Roadside Romeo they do it twice. Cause theres nothing funnier like being nine years too late. Without understanding Hindi, its hard to evaluate the voice acting. Like Hollywood, they hired screen actors instead of voice actors. Most of the online critics seem to agree that Javed Jaffrey did a really amazing job as Charlie, and I have to concur he was strong and scary in a very effective way. One person said his characters south Indian accent was difficult to understand, but I have no way of knowing if thats true. Saif Ali Khan doing Romeos voice was okay, although sometimes it sounded like he was overdoing it, and youll quickly tire of him saying things like Dude!. However, Ill make you cool! is his most annoyingly-delivered line. Everyone elses dialogue worked well enough, no complaints there. Theres actually a good bit of English in the film. Not enough to follow along, but enough to understand the mood and emphasis of the moment. To some, it might be a little distracting, and theres a lot of deliberately-broken Englishboth Charlie and one of Romeos gang talk this way, and Charlie constantly mispronounces Romeos name. (Take a drink.) Another dog in Romeos gang mostly speaks lines from other Bollywood films, which doesnt help western audiences at all. The English subtitles on the official DVD are awful. Badly timed, badly written, full of spelling, grammatical and punctuation errors. Theres a corrected subtitle file floating around online. Animation-wise, Ive never been enough of an expert to evaluate things like movement very well. Sometimes characters seem to lack weight, and they switch occasionally between two legs and four legs; it was a bit jarring at first and then I got used to it. Some of the friends I tortured with this film said they felt there was a bit of a disconnect between the legs and torsos when the dogs were walking upright. The CGI backgrounds and settings work well. The animation quality is certainly good enough. Theres still room for improvement, but nothings horrendous. Its nice to see that along with Over the Hedge (2006), with enough of a budget, computer animation has progressed far enough to create realistic fur textures. Compare this to Monsters, Inc. in 2001, where Sulley was usually the only furry thing on the screen because of all the computer rendering time needed to pull it off. So is there anything else good in the film? Yes, random bits and pieces here and there are kinda cute, like the idea behind the howling contest. The protagonists character designs are good even if everyone elses are bad, and facial expressions and body language are done effectively. The animation, backgrounds and voice acting are passable. I liked the fact that Mini, in Romeos gang, is inexplicably a cat who really wants to be a dog. But its all sunk and destroyed by the far-too-stupid plot, the jokes and sidekicks that are supposed to be funny but arent, the farting humor, repetitive songs and mountains of clichés. If you still want to watch this film, especially for the bits where Romeo and Laila flirt with each other, (a) its not worth it, and (b) you need to develop better motivations for watching animation. 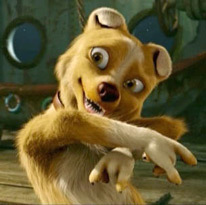 Roadside Romeo has been file-shared online, but there are several less-than-stellar copies. Ideally it should be about 92 minutes long (87 without the credits), and have a really wide screen ratio, Im talkin 2.3:1 here. And youll want to track down the corrected English subtitles. Otherwise, take a chance at buying a legit or pirated DVD online, or find a copy at an East Indian grocery store which will have crappy subtitles, if any. As a final warning, at one showing with my friends, they groaned and grimaced most of the time and only laughed once. Two of them found convenient excuses to leave a third of the way into it. The rest of us only survived by complaining as we watched. On the bright side, at least it didnt destroy any friendships. 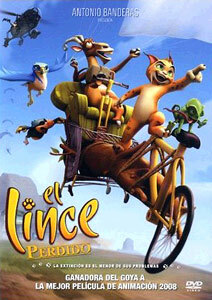 El Lince Perdido (in English, The Missing Lynx) is a Spanish CGI film released for Christmas 2008 from an animation studio co-owned by Antonio Banderas. The DVD release includes an English dub as well as subtitles, or you can find it file-shared online. Its essentially an adventure-comedy for kids with occasional environmental themes. The main character is Felix, an endangered Iberian lynx whos literally cursed with bad luck, staying in an animal shelter for his 40th time. Meanwhile, an eccentric billionaire named Noah hires a big-game hunter named Newmann to gather exotic animals for his menagerie. The animal shelter is attacked and Felixs girlfriend is taken by Newmann. Felix and friends flee the shelter thinking its a prison designed to keep them in, only to realize at the end of the attack that it was actually meant to protect them from poachers. For most of the film after this point, Felix and company are on the run. Noahs true plans are eventually revealed, only to have his headquarters suddenly taken over by Newmann and filled with death traps. At the end, Felix confronts Newmann on Noahs yacht to rescue his girlfriend. dull. Extremely dull. My attention constantly wandered, and at several points I felt like falling asleep. Theres little in it to appeal to adults, and the biggest problem is its pacing: 75% of the film is taken up by the characters being chased, in hiding, or by over-extended action sequences. Its so constant that you get numb to it, as if a TV station was running a 24-hour marathon of The Fugitive episodes. dramatically uniform and flat. There was no particular point I wanted to fast-forward to, no Oh, you gotta see this part! moment. I couldnt break the story down into its most significant beats, because there werent any; it was just one similar thing after another. With better writing and tighter editing, I think this film could have easily been cut in half and made into a nice 45-minute TV special. The English voice acting is another major stumbling point. It really sounds second-rate, and judging by the credits only five or six people were involved. The accents are largely British, but theres something off about the cadences. Sure, they all have their momentsNewmann is probably the best of the bunchbut overall I found it really distracting instead of engaging. The animation studio behind this film didnt have enough of a budget to render realistic CGI fur textures, so instead they relied on having very stylized body shapes and coloration. It works better with some characters than with others, and everyone looks somewhat plastic. (The lynxes, the hawk and Newmann have far better designs than the goat, the mole and Noah.) However, kudos should go out to them for daring to use less-cutesy species, like a chameleon. The characters themselves are a pretty standard variety. Felixs friends are Betty (an adventurous goat), Astarte (a level-headed hawk), and Gus (a paranoid chameleon). Gus will be the make-or-break thing for most viewers. Hes yet another of those characters who are supposed to be funny and wacky for kids, only hes annoying and not funny. If you can stand Gus, you can stand the rest of the film. Actually, thats not quite true: You have to stand Gus, and henchmen 13 and 14. These guys are absolute idiots, and they dont go away. I dont know why the producers thought theyd be funny. Even the other henchmen increasingly hate them over the course of the movie! 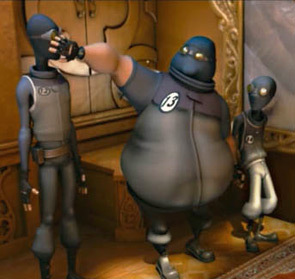 This is where the films limited budget really starts to become obvious: All the henchmen wear identical gimp-like outfits with face-concealing masks, so that theyre easier to animate, except for the two bozos. Cause when the audience cant see your face, theres no need for facial expressions. Personally I found their masks mildly disturbing, especially at the end when 13 and 14 get a new job and dont take them off. As for Felix, the main character, I liked him a lot. (Astarte would be my second-favorite.) His constant bad luck has imbued him with an odd sense of optimistic fatalism: Smiletomorrow could be worse! Hes not afraid to get things done, although occasionally he needs a little push to get going. The big disappointment was his girlfriend, Lynxette. Yes, Lynxette. They couldnt be bothered to give her an actual name in English or SpanishI checked. She has only two functions: As the love interest who needs rescuing, and as someone Noah can blab plot exposition to. Thats it. Maybe she bites Newmann at some point, I forget. And its even more annoying because when we first meet her, shes obviously smart and quite capable of surviving on her own, only shes stuck playing the damsel-in-distress. What makes this film even weirder is while Lynxette is trapped in an old-fashioned role, Felixs companions Betty and Astarte are both female and not in old-fashioned roles. The animation quality of El Lince Perdido is okay, neither terrible nor top-notch. Id probably rate it slightly below Hoodwinked, in that it needs to make its characters more alive and emotionally expressive. Frankly, Roadside Romeos animation was better in this category. But if you can get past the doofus characters, youll be pleased to find that El Lince Perdido treats its audience with a lot more respect. The one time it descends to a bird poop joke, it actually advances the story and isnt entirely gratuitous. not especially. Thats really how neutral I am about it, its so middle-of-the-road. 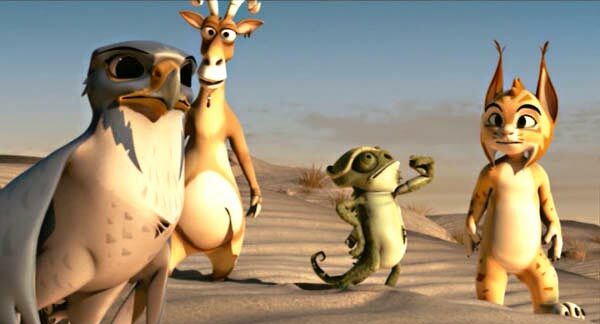 If youd like to see a cartoony lynx, hawk or chameleon as an animated character, then sure, why not? And if you like villains, Newmanns a mean enough bad guy to be engaging. You get some light environmental commentary along the wayendangered species (wolves), a recycling dump, a wind farm. And I definitely enjoyed the ending, how Felix defeats Newmann: I just wish it hadnt taken so much time to actually get there. Noah delivers the lamest line of ending dialogueNow I see my plan didnt make much sense. There are also some obvious rip-offs/tributes to The Lion King worked into it, and dont stop at the 90-minute mark: Theres an extra clip thrown in partway through the credits. Got a book, movie, comic, etc. of the anthropomorphic kind that needs an Anthro review? Send it to Dronon!